“Ports” you scoff? Surely Nintendo needs new games on the Switch and not a bunch of rehashes… right? The answer to the above is a mighty yes and no. Look, there’s no arguing that the Switch will benefit from new games. That’s a given. Nintendo has a history of eschewing third-party content to make up for, and I totally get that. First and foremost, gamers want to see a nice mixture of Nintendo (first-party) titles and -new- big third-party smashes. I’m in no way arguing that point, because I agree with it. And for the most part, I think that’s what we’ve been getting. Since the Switch hit, we’ve gotten a top notch offering of Nintendo’s best. Breath of the Wild, Mario Odyssey, and even Mario Kart 8 Deluxe have given the faithful plenty to love. As for the third-party titles, well there’ve been a decent amount. A very nice spread including stuff like Sonic Mania, Sine Mora, Dragonball, Ultra Street Fighter II, and Mario + Rabbids Kingdom Battle have landed. Heck, we’ve even gotten some big sports titles with the NBA games and FIFA. When was the last time you saw that? And the “Nindies”? There’ve been a pile. Sure some aren’t the greatest, but there were some big launches, and some that’ve been a pleasant surprise (like the 16bittish Mummy: Demastered). This week is another excellent spread, with games like LEGO Marvel Superheroes 2. While that game is brand new though, there are three other big releases this coming week that are not. I’m talking about -of course- Doom, Telltale’s Batman (season 1), and L.A. Noire. These games might have first seen release last year, or a few years back in the case of L.A. Noire, but that doesn’t mean that the Switch isn’t a perfect home for them. I might have balked at some of this if it appeared on the Wii U, but not so here. Why? Because they’re effectively handheld games on the Switch. Oh sure, you can play Switch games at home like any other console, but being able to detach it and take it with you? That changes the *ahem* game more than a little. I might not have been too enthused about a Doom port onto the Switch if it was as TV-locked as the Wii U, for example. I played the hell out of the Xbox One version of iD and Bethesda’s latest after all. What would the purpose be of playing it again? Well, ’cause it’s handheld too, that’s the purpose. It’s amazing what a difference that makes to me, but it seriously can’t be understated. Again, I’m not talking about Virtual Console stuff here (though I definitely want that too), and I’m not talking about stuff that’s come out this year. I specifically mean to say that I’d love to either replay some favorites from the last few years in handheld, portable form. Or for that matter, catch up on a few titles that I skipped on my Xbox and PS4. I’m not alone either, as our podcast host Erich feels about the same way. And I’d wager there are more than a few of you out there who agree with us. So, that said, let’s have a peek at what we’d like to see ported. 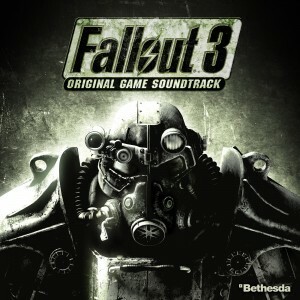 With Bethesda’s newer flagship game, The Elder Scrolls V: Skyrim releasing on the Switch in November, there is no reason that Fallout 3 couldn’t be ported to the console. The game is open in the same way that Skyrim is, but scratches an entirely different itch. The older Fallout 3 could easily be run on the Switch. I don’t even want a Fallout 4 port. Leave that garbage on the PS4 and Xbox One. They could even include Fallout and Fallout 2 in the deal to make the cartridge a classic Fallout collection. Who knows? Maybe Skryim is a test run for Fallout and older Elder scrolls games. 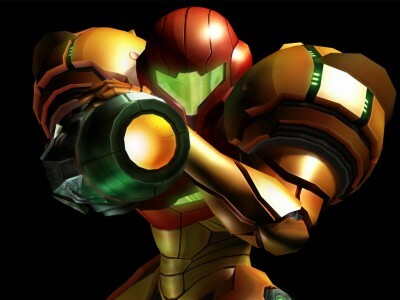 This is a great way for Nintendo to market the Prime franchise before Metroid Prime 4 launches in the future. As it stands now, I need to dig out my Wii U to play the trilogy. I am just about sick of that. A Switch port of the trilogy would introduce new players to the franchise and let old fans relive some great games. The Switch is already home to a great point and click adventure game in Thimbleweed Park. Making this ageless classic available on a modern console would give many more people the opportunity to discover its wonder. All indications point to Kingdom Hearts 3 releasing on the Xbox One as well as the PS4. This collection is made up of games that originally released on relatively ancient hardware. Like most big JRPGs, the ability to take them with you when staying in a hotel or going on a long flight is invaluable. Maybe this is just selfishness, but I would totally buy another copy of this collection of my Switch. Taking my Disney and Final Fantasy friends on the go would be a great time. Alright. Is there really any reason this anticipated remaster is NOT coming to the Switch? 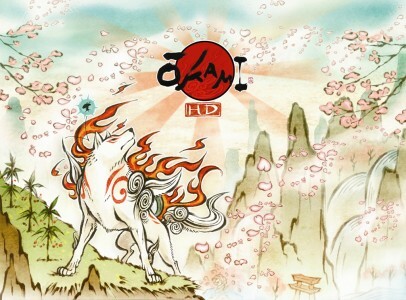 The game originally released on the PS2. I can’t speak to the quality of the game, because I have never played it, but I do know that it is widely loved. This seems like such a miss to me. The game is already being re-done. Just put in the little extra work and make it have a $10 premium for being on the Switch. Of all of the games on my list, this is the only inexcusable one. 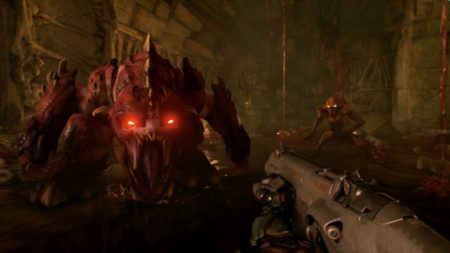 So this weekend, Switch gamers get to play the excellent Doom reboot that saw release last year. That’s awesome, I love it, and I plan on adding it to my Switch library even though I’ve already played it (see above for why). But what about the classic Doom games? And, for that matter, Doom 3 and Resurrection of Evil? Yes, I know those last two are targets for Doom “fans”, but I love all of the above and would adore seeing them get a re-release, Collection style, on Switch. I stopped following the AC series before Ezio’s third outing, and it’s been the only one that I regret not playing. Porting it to Switch would be a terrific way to remedy that, since its portable nature would ensure plenty of time away from the TV to actually play through. With Ubisoft’s solid support of the system, and the Ezio Collection recently having seen release on other platforms, I’d think this’d be a no-brainer. Plus these are three of the best AC titles. Not a bad set of additions for Nintendo’s latest. When Rock Band returned a few years back, I was pretty pumped. I loved the original and the semi-reboot promised a return to what was so great about the series. Which basically was rocking out to the songs you love. Switch has nothing like this at all, and even with RB returned to the back-burner (again), I have to imagine that it’d do very well on the new platform. I can see the ads now – some cool guys and gals sitting in the park, on a bench perhaps, with the Switch in tabletop mode, jamming out to some funky tunes with some tiny plastic instruments. Maybe the handheld mode for the Switch could even display touch-screen prompts instead of those too-big-for-the-road peripherals. I’d play it. 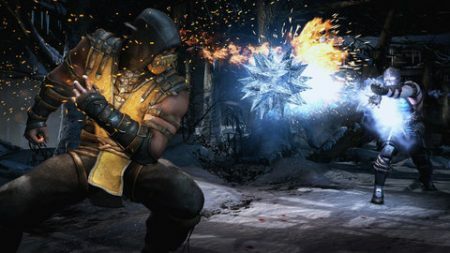 Is there any reason why Mortal Kombat X couldn’t be ported to Switch? That game is still one of the best fighters out there and a few years long in the tooth to boot. I’d wager that the Switch could more than handle it, even if it had to be toned down a tad in the technical department. Nintendo is showing that mature-rated content is hunky-dory with them now too (e.g. Doom), and fighting games seem to be doing quite well on their console (Ultra Street Fighter II anyone?). So with that, I see little reason why a port of MKX wouldn’t do gangbuster business. Honestly, I’d take a collection of the arcade games too, though that might tread a tad too close to Virtual Console material for this article. BioShock has appeared (or almost appeared) on pretty much every modern console, including mobile phones, so it shouldn’t be much of a stretch to port it over to the Switch. And while I’d prefer the enhanced version from that pack, I’d take the original version that appeared in the Xbox 360/PS3 era as well. It’s a classic FPS plain and simple, and one that I’d eagerly play through again on Switch. For that matter, I’d take another run at BioShock 2 as well…. And those are our picks for ports that’d make us smile. Do you agree whole-heartedly, have a different list, or are you picking ours apart mentally? I’m sure one of those applies. Let us know in the comments below.